*Free trial is for Arthur only. Now with Xero and Quickbooks, Arthur has a friend that takes care of your business needs. Whether carrying out tenancy accounting or client accounting in Arthur or Xero / Quickbooks the syncronisation will allow for data to flow both ways. 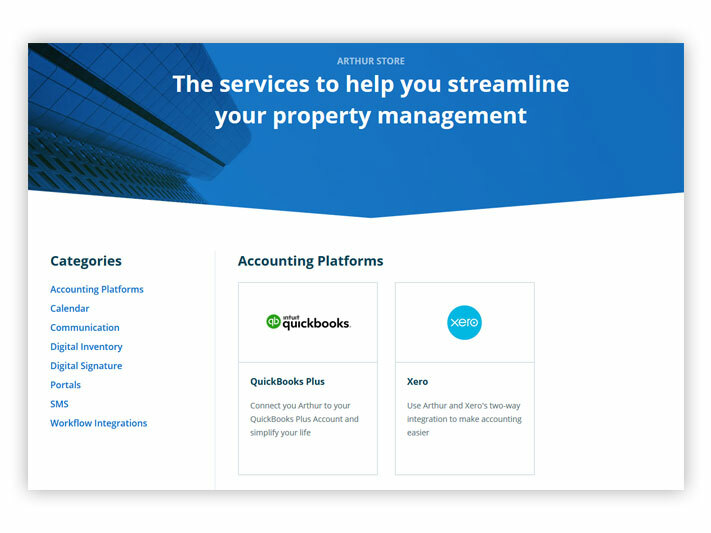 For Accountants and Bookkeepers with Xero and Quickbooks clients, Arthur`s global switch and pricing model would be a useful and welcome addition to client offerings. For more details contact us. What are Xero and Quickbooks? Xero and Quickbooks are global leaders in cloud accounting. Your bank statements are automatically imported and categorised, letting you see your cash-flow in real-time. Xero and Quickbooks has everything you need to run your business – including invoicing, paying bills, sales tax returns, reporting and much more.